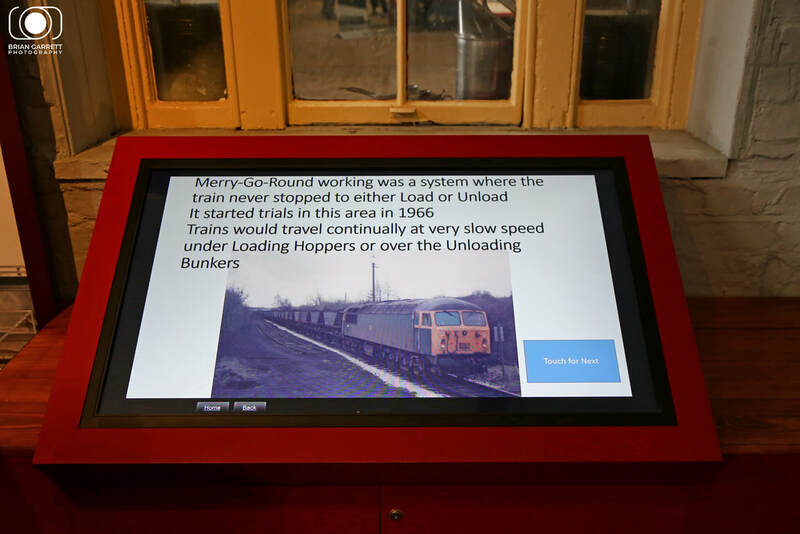 The Barrow Hill Round House has been on the the same site since 1870. 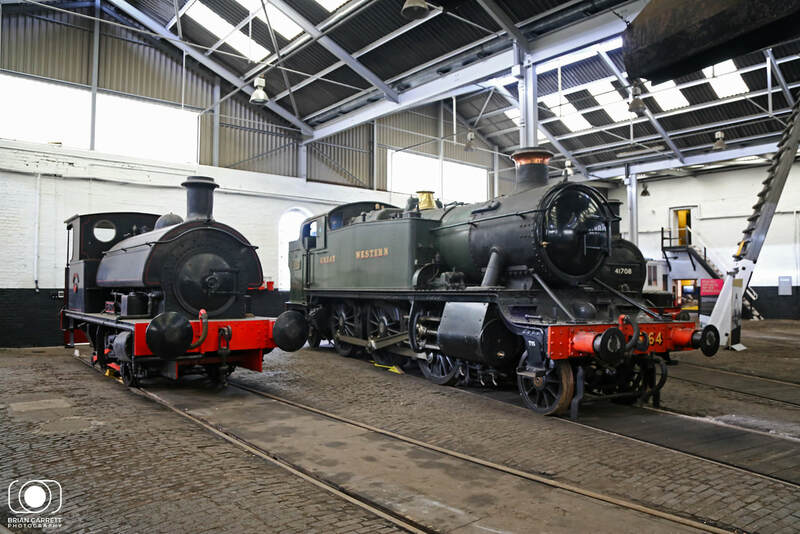 Having been build as an original steam shed for the Midland Railway the 24 Road round house survived until closure of the final coal pits in 1991. 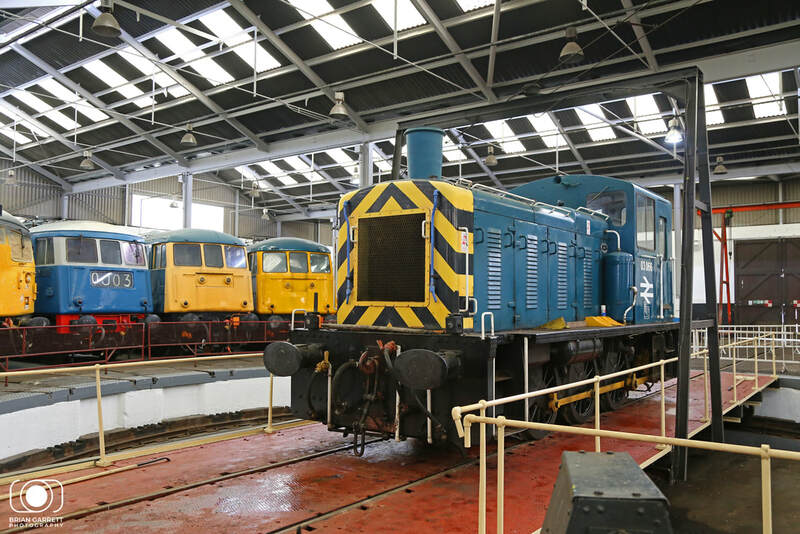 Thankfully In 1989 Barrow Hill Engine Shed Society was formed with the intention of saving from demolition the Roundhouse on the site of the soon to be closed British Rail engine shed, and after extensive restoration the shed reopened as a preservation centre in 1998. 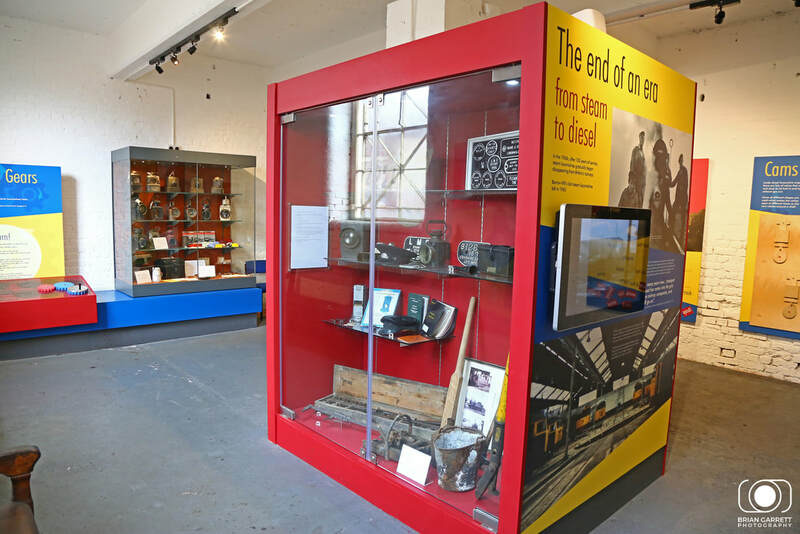 Since then the centre has become an important centre of railway locomotive repair and restoration. 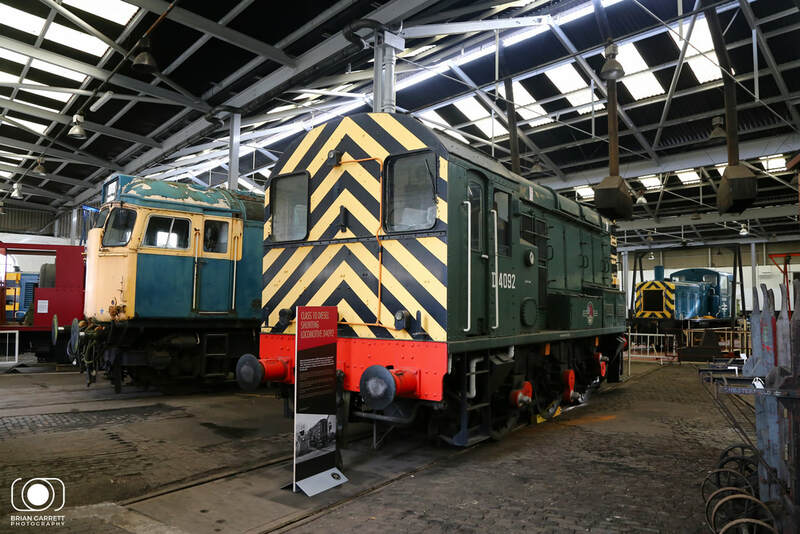 As well as preserving the original round house, the sidings outside now provide ample storage for both preservationists, and mainline operators to store locomotives. 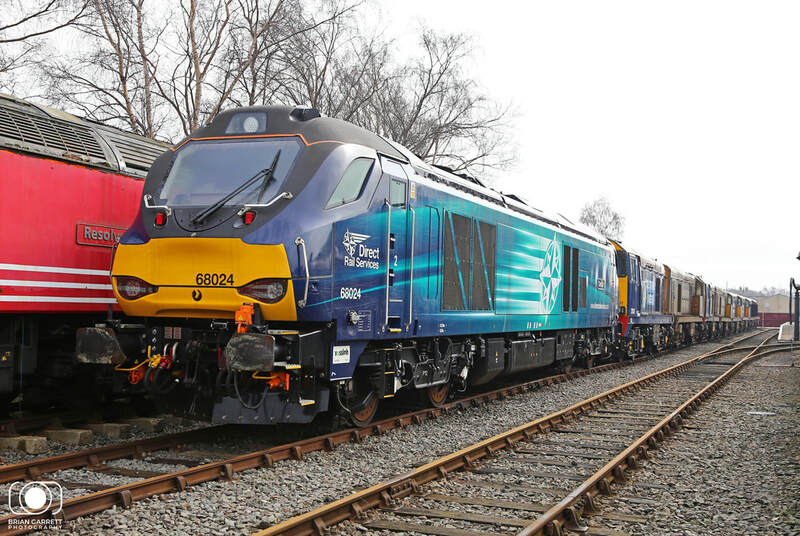 Harry Needle and the Deltic Preservation Society are also now based on the same site. 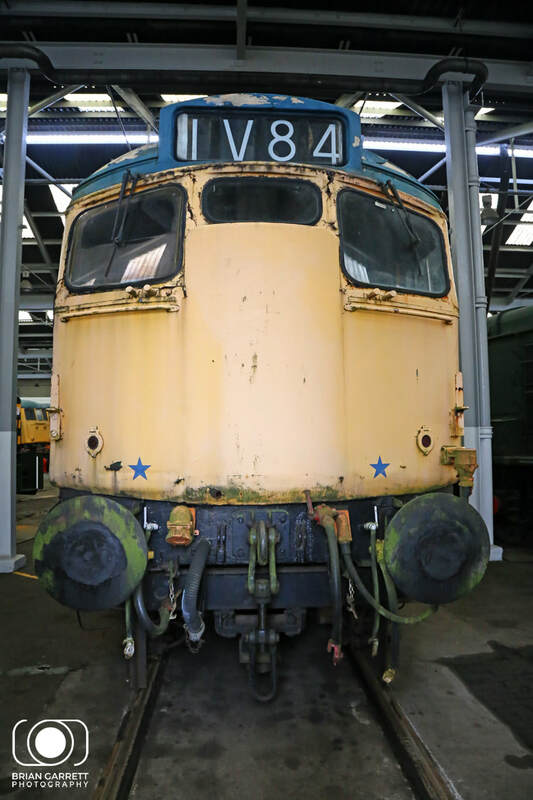 A visit to the Roundhouse will always provide a treasure trove of UK locomotives in various states of repair and restoration. 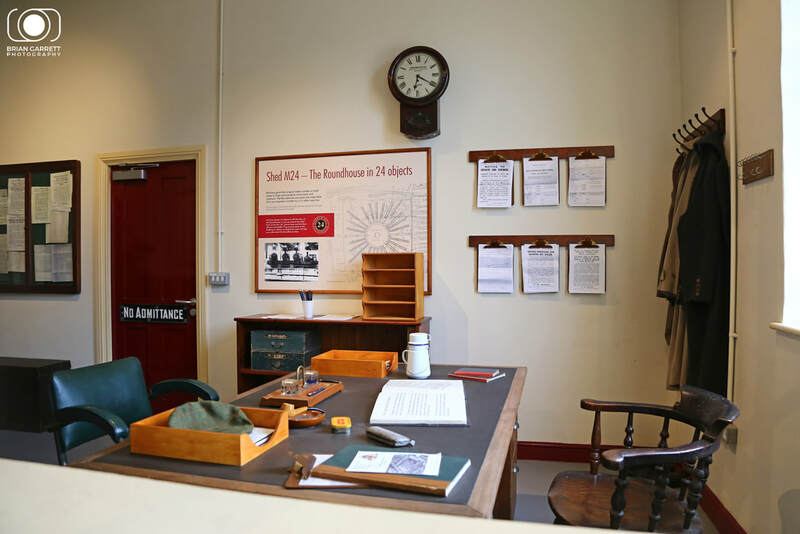 Most recently the centre has also added a new Entrance, Cafe and Educational centre to further secure the future of the site. 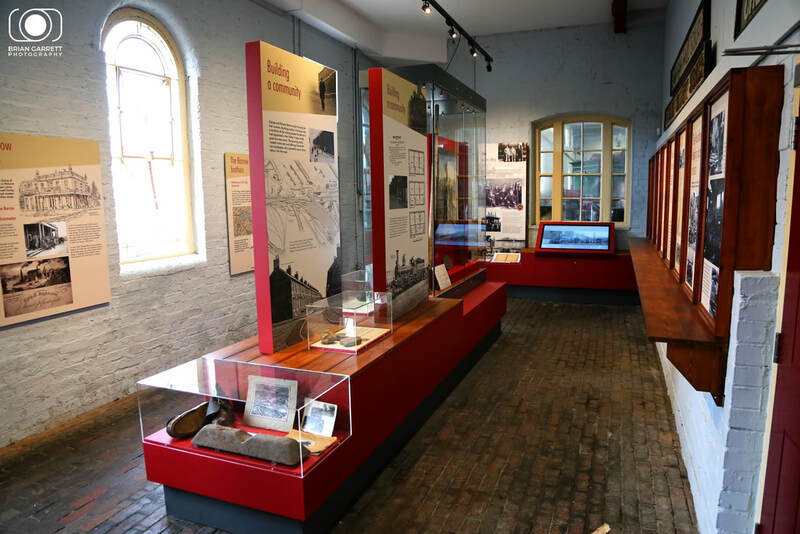 The new extension and building refurbishment is pictured in the first set of images along with some of the new displays and educational installations. 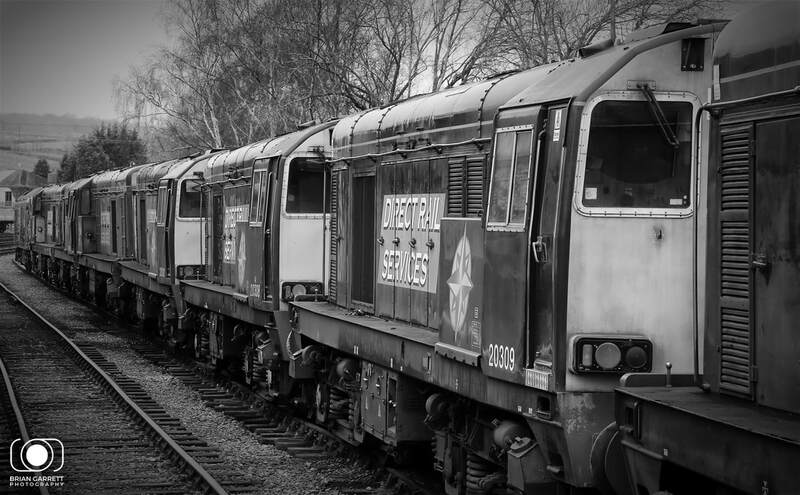 BR Blue Class 03 No.03066 is pictured on the Barrow Hill Turntable alongside a selection of former British Rail Electrics. 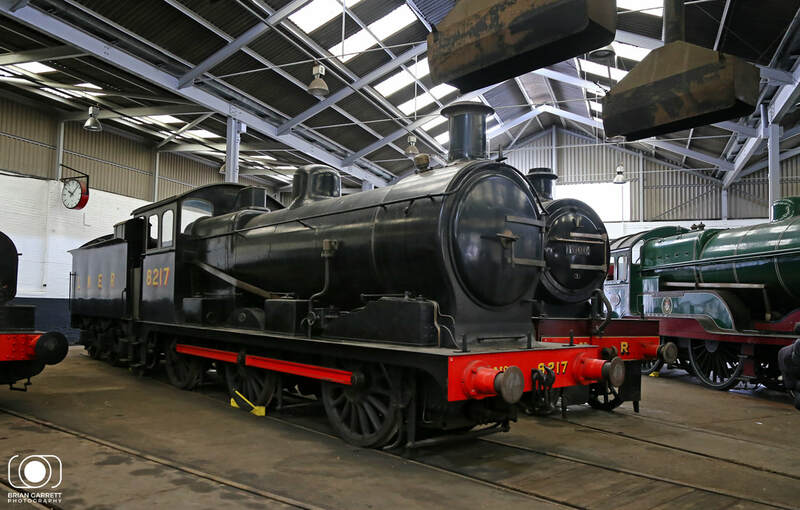 GWR Large Prairie Tank No.5164 stands at Barrow Hill on the 11th March 2018. 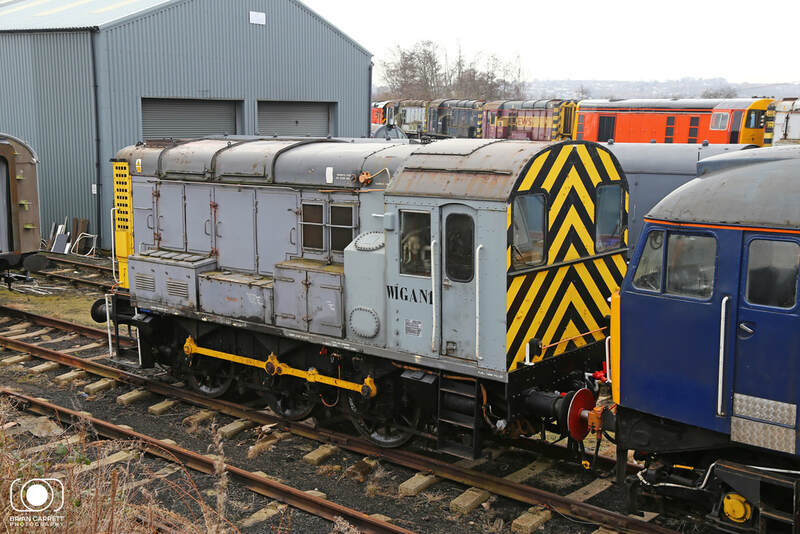 Former 'Wigan 1' Class 08 No.08877 is pictured at Barrow Hill coupled to former DRS Class 47/8 No.47853 at Barrow Hill on Sunday 11th March 2018. 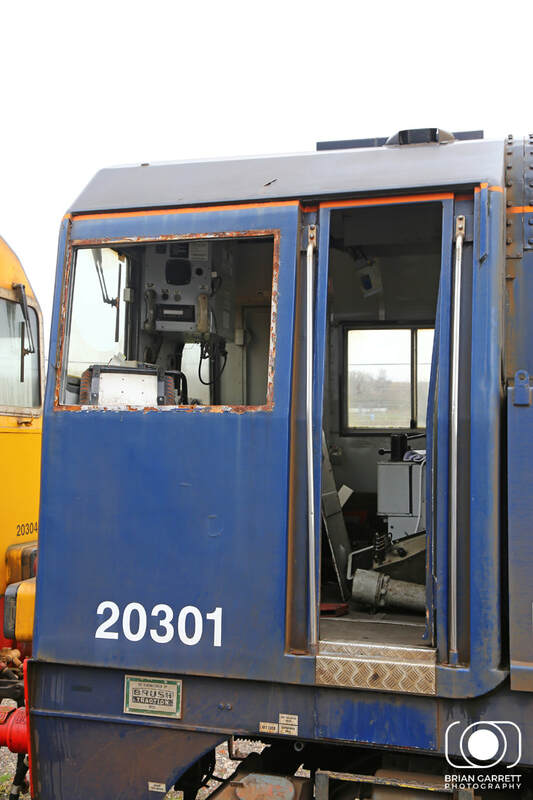 BR Blue Class 27 No.27066 is pictured inside the shet at Barrow Hill currently 'drying out' prior ro resotration taking place on the locomotive. 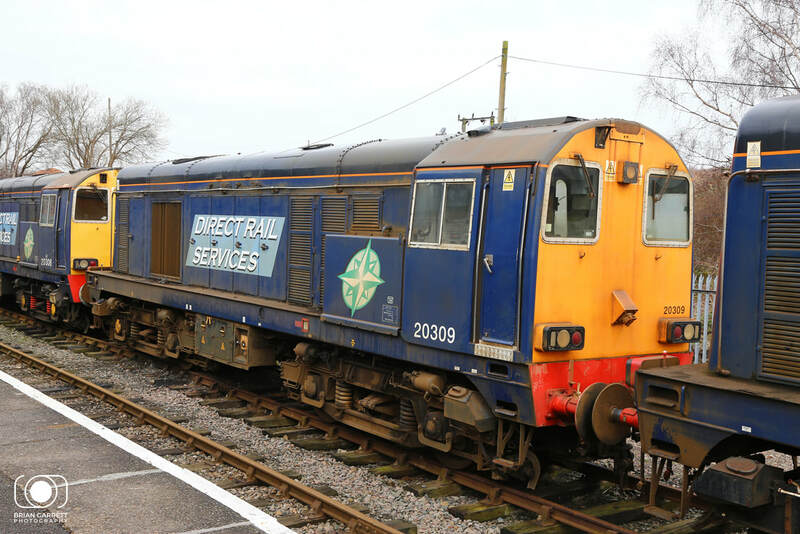 BR Blue Class 27 No.27066 is pictured on shed at Barrow Hill on the 11th March 2018. 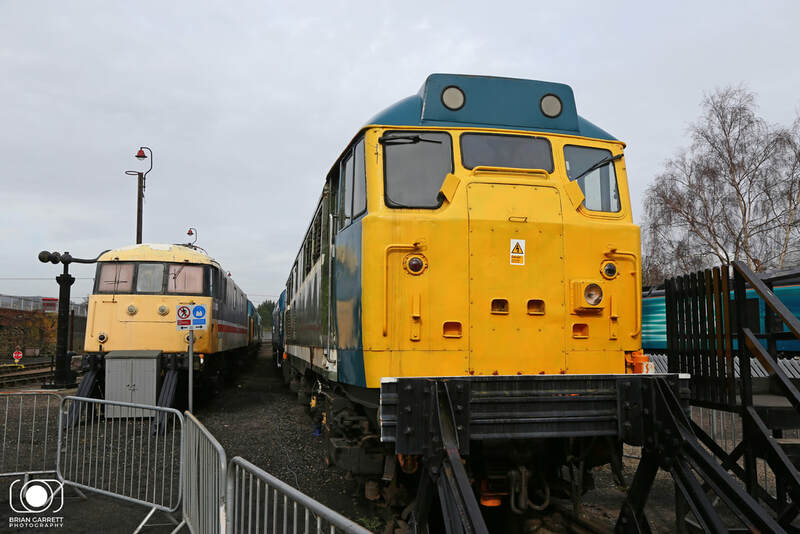 Two former British Rail Scottish examples are pictured at Barrow Hill No.27066 is seen closest to the camera drying out after a period of open storare at the Dean Forest Railway. 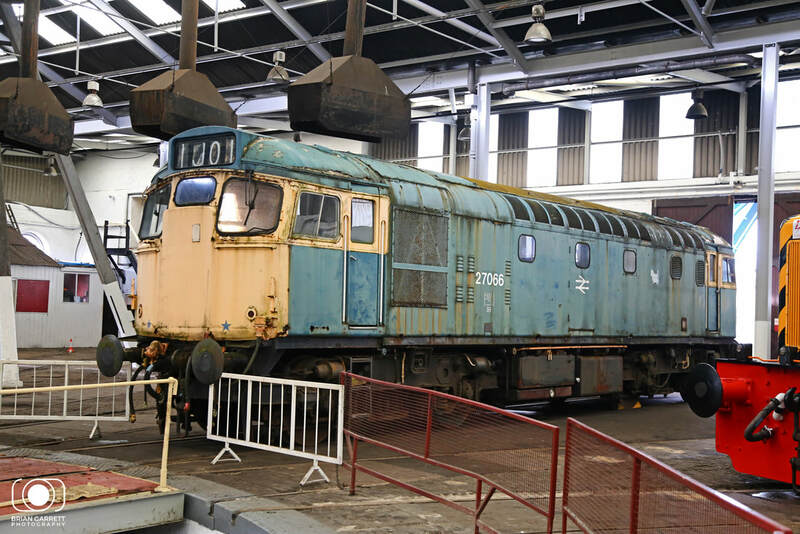 No.26007 is seen mid restoration in the background. 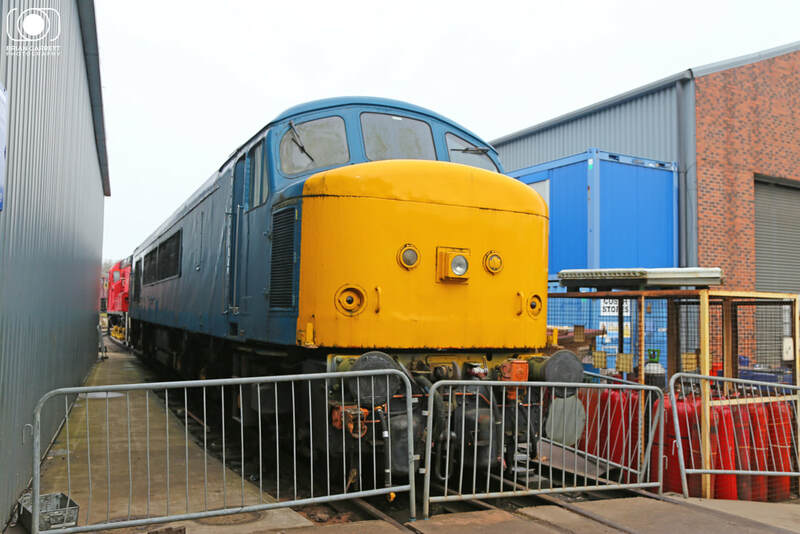 Part restored Class 31 No.D5814 (31414) is pictured at Barrow Hill part restoration and being prepped ready for a move to the Midland Railway Centre which happened on the 18th March. 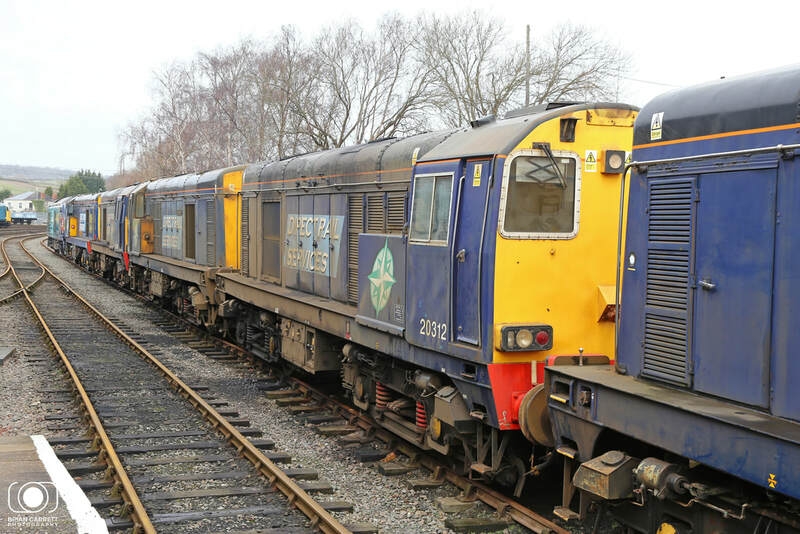 Former Cornish Class 37 No.37207 'William Cookworthy' is pictured stored at Barrow Hill waiting its turn for further restoration. 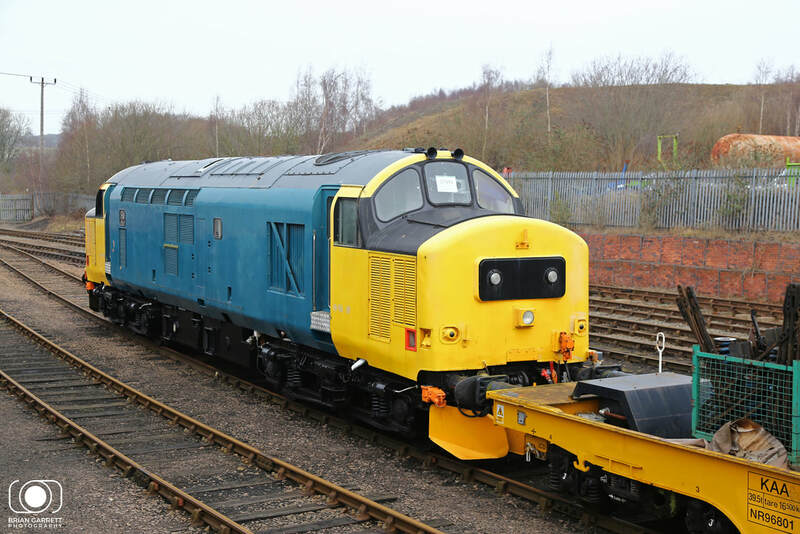 Part restored Class 37/4 No.37418 stands at Barrow Hill on Sunday 13th March 2018. 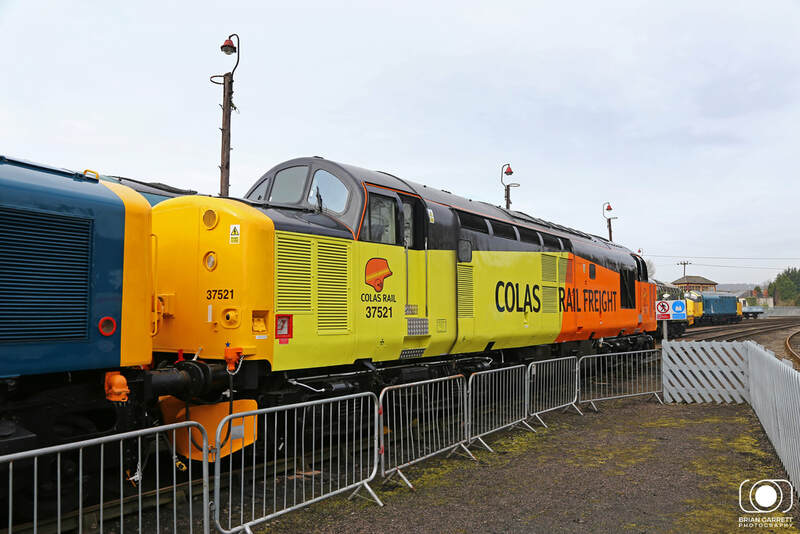 Former EWS liveried Class 37 No.37521 is pictured painted in Colas Rail Freight colours at Barrow Hill on the 11th March 2018. 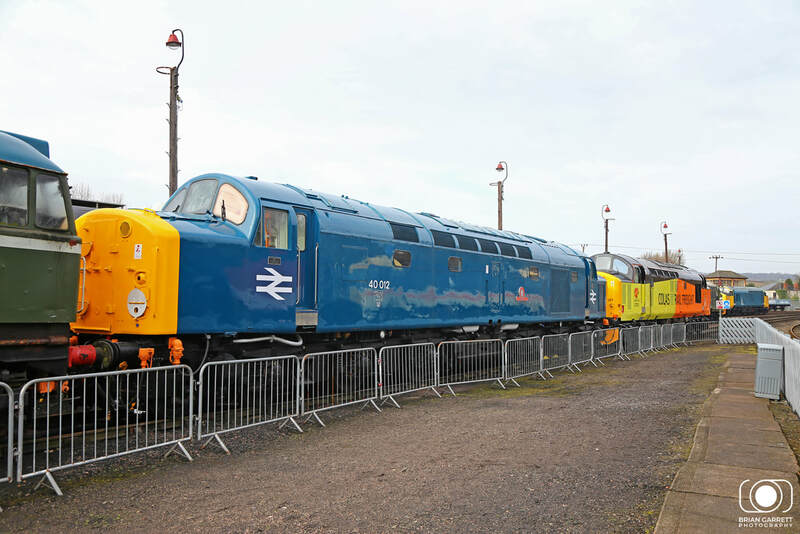 Just after its repaint after years stored at Barriw Hill BR Blue Class 40 No.40012 'Aureol' is pictured stabled outside in the sidings at Barrow Hill on the 11th March 2018. Recently moved from long term store at Derby. 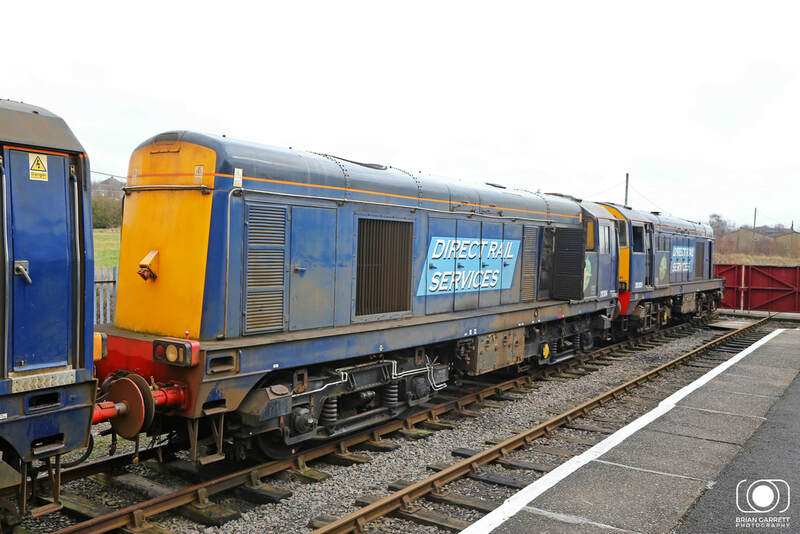 Class 45 No.45118 is pictured outside the DPS Shed at Barrow Hill on Sunday 11th March 2018. 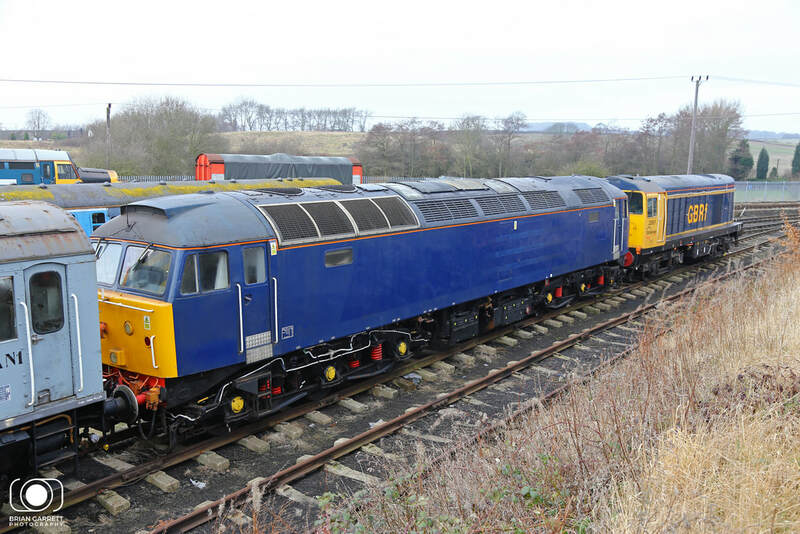 Former DRS Class 47/8 No.47853 stands at Barrow Hill with GBRf Class 20/9 No.20901 on the 11th March 2018. 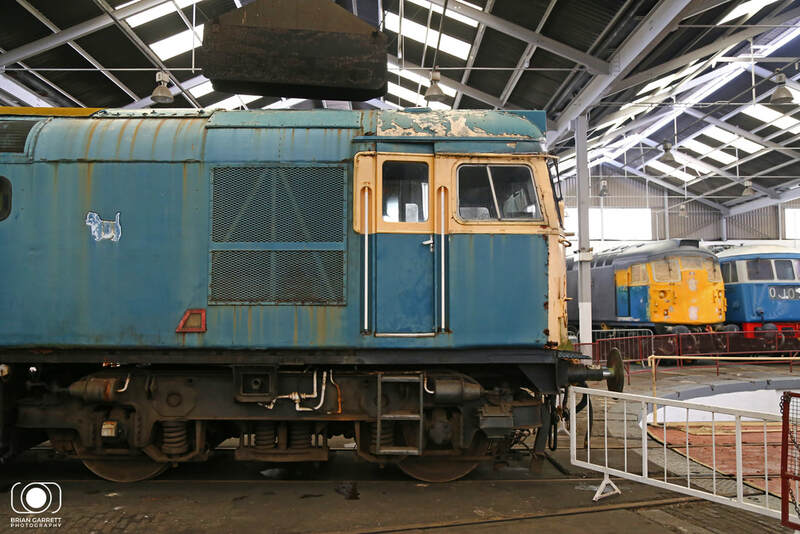 BR Green Class 10 No.D4092 is pictured in Barrow Hill shed minus its rods. 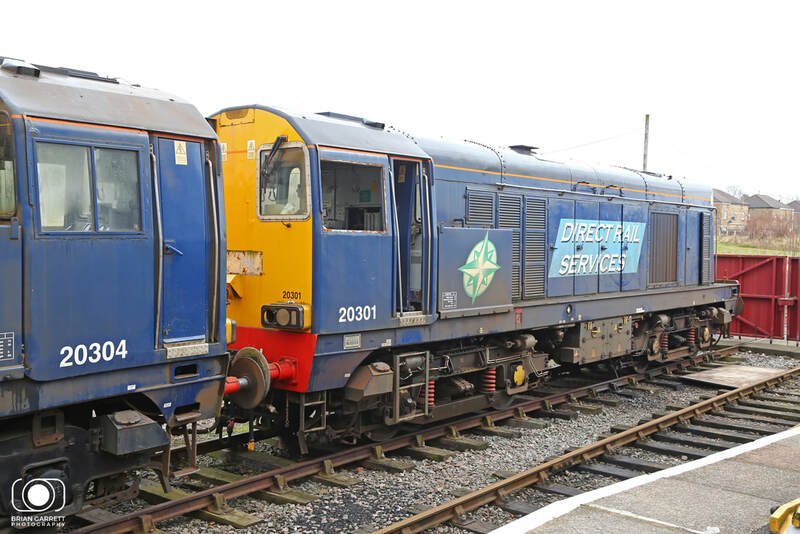 BR Blue Class 03 No.03066 and No.27066 are also seen in the background. 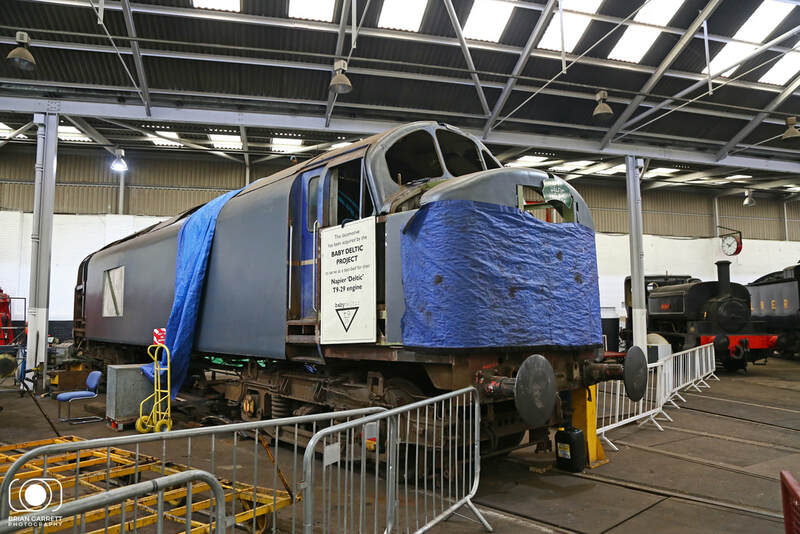 The Baby Deltic project at Barrow Hill is progressing well with the conversion of a Class 37 into a former Class 23 'Baby Deltic' No.D5910 is pictured mid conversion. 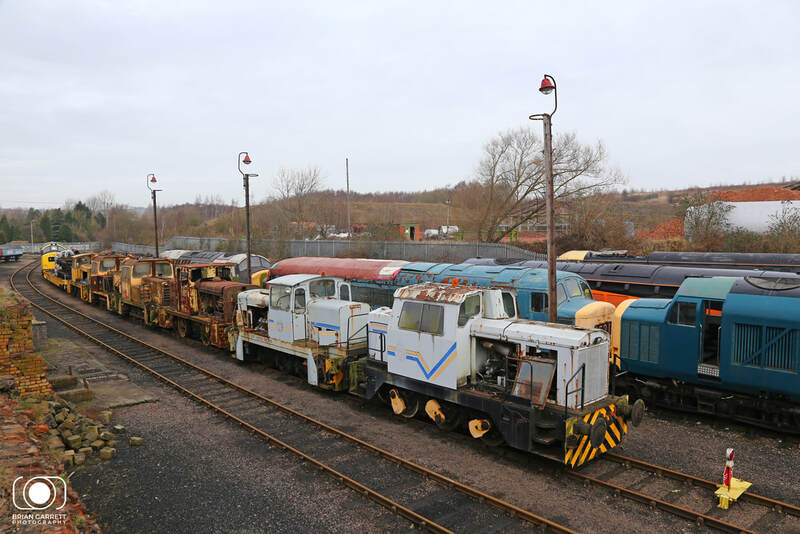 A general view of of the sidings at Barrow Hill on the 11th March 2018. 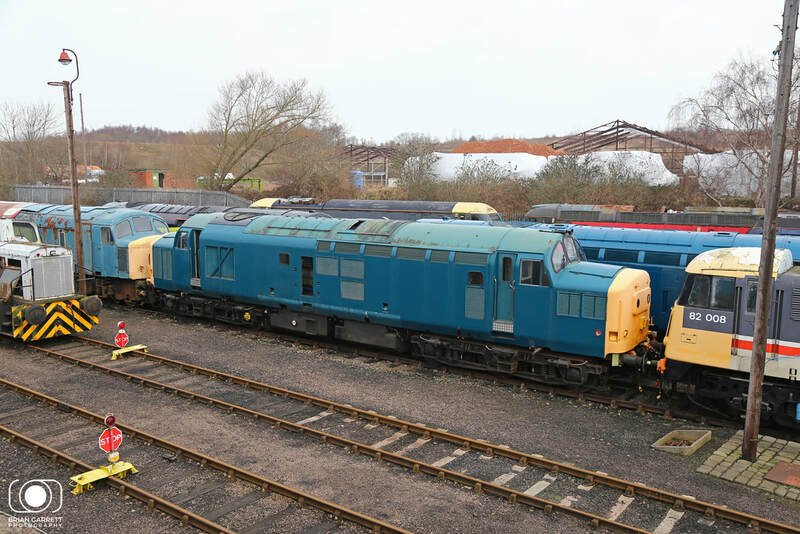 A complete line of stored Class 20's is pictured at Barrow Hill on the 11th March 2018. 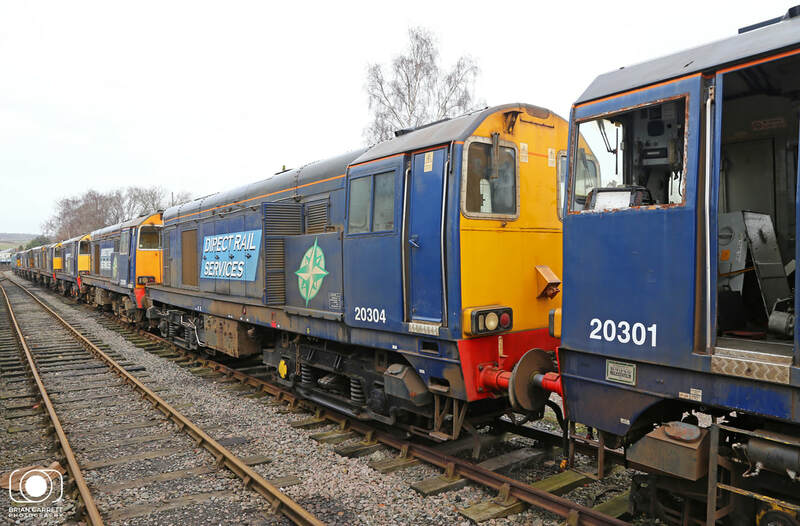 No.20301, 304, 309, 309, 312, 305, 303, 302.